Here’s a couple of woodcuts by JJ Lankes. 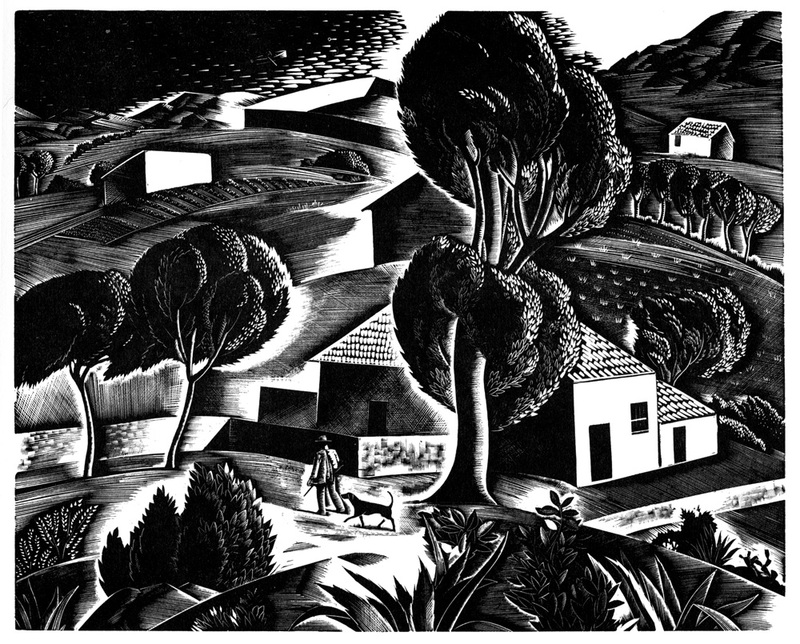 Even though they aren’t wood engravings, his work does have the feel of an engraving rather than plank grain work. He was born in Buffalo, New York in 1884. In his youth he trained and worked as a draughtsman before going on to study art at the Art Student’s League of Buffalo and the Boston Museum of Fine Arts. 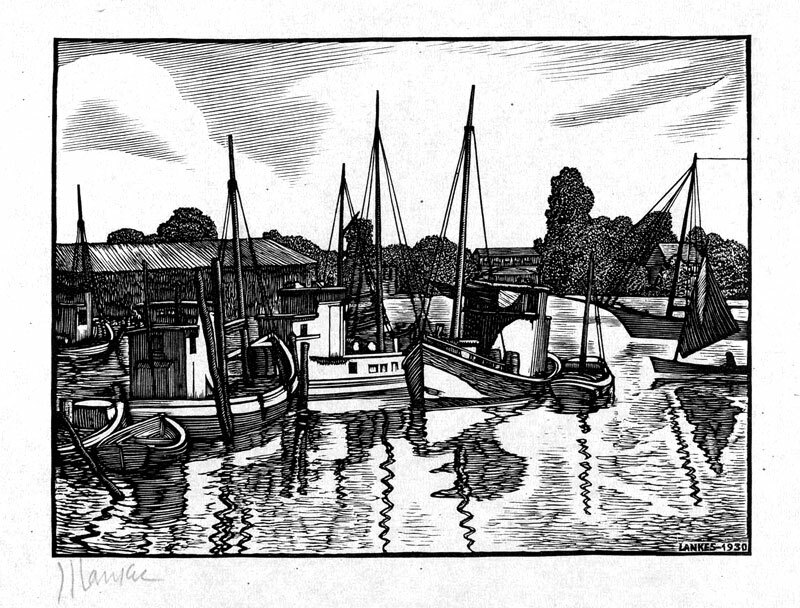 His favoured medium was the woodcut of which he produced around thirteen hundred during his career. Major influences included the Arts and Crafts Movement and William Morris. Book illustration also kept him busy during his working life. Robert Frost and Beatrix Potter are among the authors that used his illustrative skills. Lankes wrote and illustrated A Woodcut Manual, published by Henry Holt in 1932. It was written in a very informal style and was well-received by the art and literary community of his day. I will be digitizing a copy of this book to present as a virtual book in my library section. 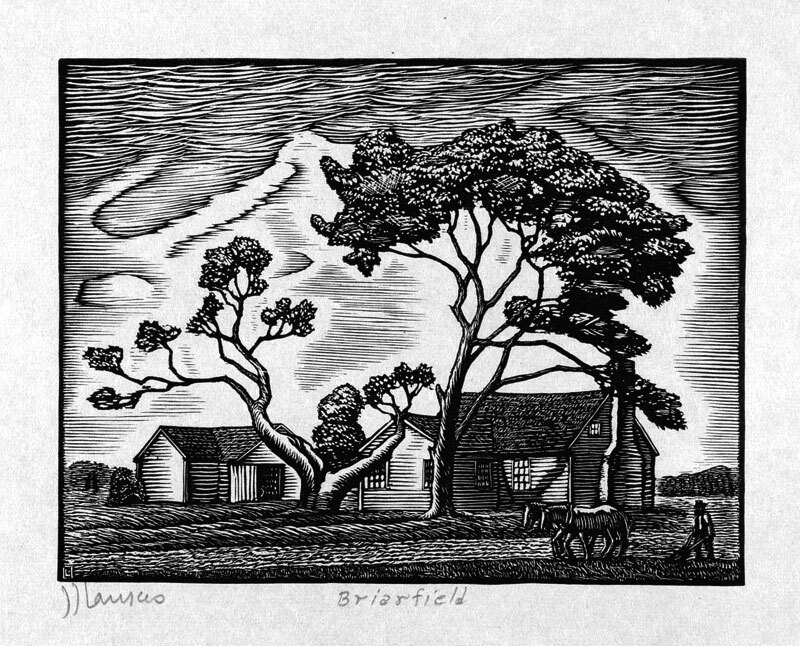 The beauty and sincerity of Lankes’s prints is so inspiring! They really have the look and feel of wood engravings even if they are done in side grain. 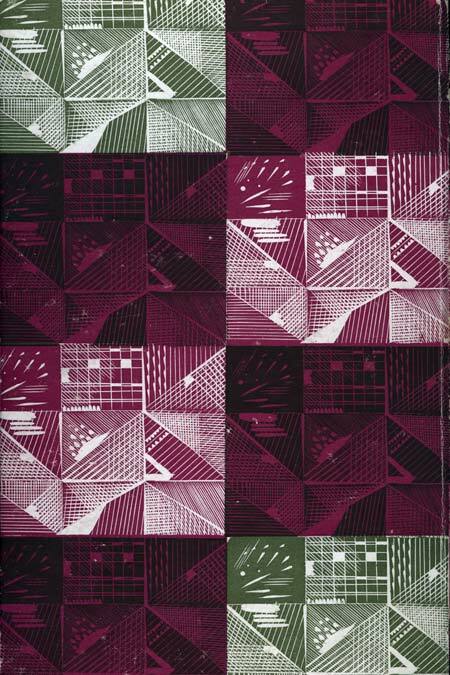 I count A woodcut Manual among my first and most important influences. Agreed. Just have to find the time to scan his book and check for permissions, etc.